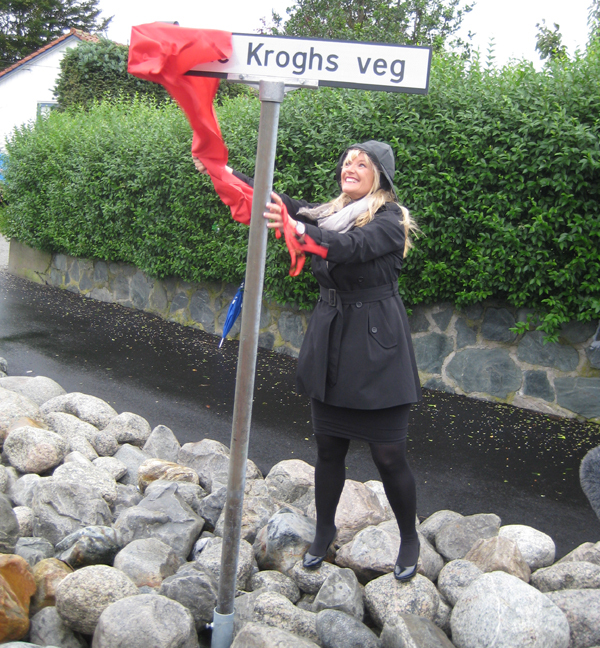 In Norway Hanne Krogh is an icon. She is a singer, she is an actress, but first and foremost she is a storyteller. She has the ability to remind people of who they really are, and to make them believe that what they are is more than enough. Hanne Krogh has become an integrated part of Norwegian culture, and people are always able to relate to what she wishes to communicate. It does not matter whether that message is told through music, storytelling, or acting. She recorded her first album when she was only 14 years old, and since her national breakthrough one year later, she has become one of the best-selling recording artists in Norwegian history. She later played the lead role in Norway’s most seen movie ever, and she won the international final of the Eurovision Song Contest as part of the duo Bobbysocks. 96% of the population gathered in front of their television sets to see Norway win the biggest music contest in the world for the very first time. The commercial success gave her the opportunity to utilize her wisdom, creativity, and integrity in a variety of fields and genres. In addition to her own projects, she is also frequently asked to act as MC at conventions, often in relation to female entrepreneurship. Hanne Krogh has received major acclaim through Norwegian awards. Among them are numerous Spellemann (Norwegian Grammy) including the Honorary Award, and the Peer Gynt Prize, which is awarded by members of the Parliament to those Norwegians who have done the most to gain Norway’s reputation abroad. Hanne Krogh has maintained a position in the midst of the Norwegian spotlight through the whole of her career. In 2012 she toured the country with two major sold out shows that she had written and directed. She also made numerous television appearances. In 2013 Hanne decided to use her position to further a cause she strongly believes in. Through several appearances all over the country she marked the 100-year anniversary of women’s suffrage in Norway, and turned focus toward violence against women, and brought to light unknown admirable women. This also included recording a new studio album «Ikke gi deg, jente». In 2015 her new-written show «World of Music» gained another standing ovation, both from the audience and from the critics.